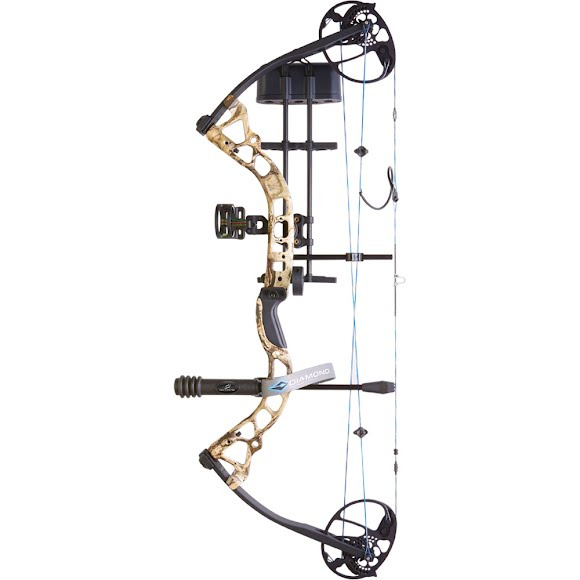 If you're looking for a high quality, versatile, feature packed bow, the Infinite Edge Pro is the perfect fit. Building off Diamond's best-selling bow of all time, the Infinite Edge, we pulled out all the stops with the Infinite Edge Pro. We extended the draw length to 31", allowing for a whole new category of shooters with longer draws. If you&apos;re looking for a high quality, versatile, feature packed bow, the Infinite Edge Pro is the perfect fit. Building off Diamond&apos;s best-selling bow of all time, the Infinite Edge, we pulled out all the stops with the Infinite Edge Pro. We extended the draw length to 31", allowing for a whole new category of shooters with longer draws. We also completely redesigned the cam system, creating a flawlessly smooth draw cycle. Then we added a solid back wall to give this bow yet another edge over the competition. And finally, we added a stabilizer for perfect balance, making the Infinite Edge Pro ready for anything. Draw Length Range: 13" to 31"
To start an archery experience off right, great equipment is half the battle. That is why our extremely adjustable bows are ready to meet you just where you&apos;re at. Durable and forgiving, these bows are designed to succeed every step of the way while staying as rock solid as the rest of the Diamond line.